Now adding to the already massive roster of rock releases in 2015, Sevendust has announced today that they will also be releasing their next studio album this year. The new album will be called Kill The Flaw, and you can expect a release on 2 October. 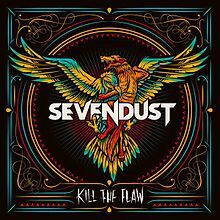 Kill The Flaw will be Sevendust’s 11th studio album, and their first studio album since 2012’s Black Out The Sun. They did also release an acoustic album titled Time Travelers & Bonfires in 2014. Along with the announcement the band also released the debut single off the album called Thank You. Listen to Thank You right now below, and listen out for it on RadioActive Rock.